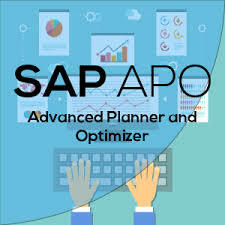 SAP Advanced Planning and Optimization (SAP APO) is one of the key modules in SAP SCM, and controls Supply Network Planning, Spare Parts Planning, TP/VS and Demand Planning in Supply Chain process. It helps the organization to manage their supply chain process in a dynamic environment. SAP APO is a complete software to cover key processes such as supply chain networking, supply chain planning and coordination, and supply chain execution.